One of my readers, Manfred, has emailed me with two thoughtful and interesting, not to say troubling questions which I feel deserve a full answer. So for the next few days I will attempt to answer there questions. The first question is this. 'There is a very odd story in the Tipitaka where the Buddha instructs some monks in the meditation on the repulsiveness of the body and then goes on solitary retreat during the rains. In the meantime the monks become so disgusted with their bodies that they commit suicide and one of them even kills other monks in order to free them from their repulsive bodies asking “is there somebody else to who wants to be relieved?” Only when the Buddha returned from his retreat did he remedy the situation. 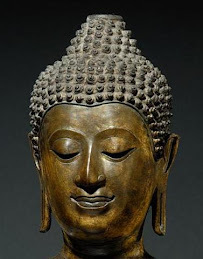 My question is this: How is it possible that the Buddha, who is regarded by Buddhists the “incomparable Teacher of gods and men”, and who had the ability to foresee the destinies of beings let it come so far. If this story is true he can’t have been a very good teacher, one might say'. The incident being refered to is from the Vinaya III,68-9. I will try to give an answer to this question. There are two ways of answering the question asked yesterday. The first way is to take a text historical approach. The story of the monks who committed suicide (it says ‘up to 50 or 60 in a single day’, Vin.III,68-9) is from the Vinaya. Now despite what Vinaya fundamentalists think, scholars can demonstrate that much of the Vinaya is later that the Sutta Pitaka, perhaps two or even three hundred years later. This is the same as saying that it is much later than the time of the Buddha. Considering this we have to ask, ‘Does this story really record something that happened during the Buddha’s time?’ and the answer has to be ‘Unlikely’. The artificial and formularistic structure of the story (like many Vinaya stories) is a further pointer to its late date. 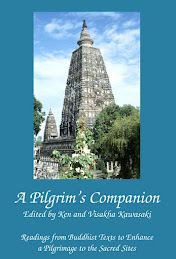 So the story does not really contradict the Buddha’s claim to be an “incomparable Teacher of gods and humans”. However, it almost certainly does reflect issues confronting monks and their attitudes towards them at the time it was composed. And there can be no doubt that monks sometimes did commit suicide out of frustration or loathing about their bodies. Such behavior was more understandable then than it would be to us today because of the long tradition of religious suicide within the Indian ascetic tradition. However, at the end of the story the Buddha is depicted as saying, “Whatever monk should intentionally deprive a human of life or should be his killer (literally ‘his knife-bringer’) he is defeated, no longer in communion with the Sangha” (Vin.III,71). The second way we could answer the question is to take the story on face value, accept that it really did happen as recorded, admit that some monks (50 or 60 per day is a clear exaggeration) did commit suicide as a result of practices recommended to them by the Buddha. If we take this approach the story certainly would cast doubts on the Buddha’s omniscience and his ‘incomparable’ teaching style. But of course the Buddha was not omniscient (see my post of 23rd August) so that deals with that problem. Was he an “incomparable Teacher of gods and humans”? I think he was. The stories in the suttas of his insight, tact and finesse in dealing with people are almost certainly genuine and show a profound psychological sensibility. But saying that the Buddha was an incomparable teacher is different from saying that he was infallible. We all know that only Popes are infallible. So we could say this. The guidance that the Buddha gave his disciples came from his deep understanding of the human psyche. But despite his careful guidence, a few people sometimes got it wrong with tragic consequences. On suicide in Buddhism have a look at my http://www.buddhismatoz.com/ under ‘Suicide’ and also Damian Keown’s article on the same subject at http://www.urbandharma.org/udharma/suicide.html On religious suicide in India, in particularly what the Jains call santhara or sallekhana see http://indiatraveller.blogspot.com/# A good book on the subject is Upendra Thakur’s History of Suicide in India. I have always suspected the authenticity of such statements of the Buddha which one may term as "boastful". I think they are additions by his ardent followers, especially in the conditions of rivalry with other Indian religions. We know that the New Testament has a very complicated history of its origin. Similar problems I spot in Tipitaka. Actually I consider of utmost importance two suttas - the First Sermon and Satipatthana sutta. All other documents I see as detalisation of the Buddha's Message. But whenever I find even the shade of inconsistency with the chosen suttas I feel they should not be taken for the pristine source of information. Sorry, "they" in the last sentence of my previous comment does not mean the chosen (by me) suttas but any other sutta. I am a bit confused over the comments on the history of the vinaya. 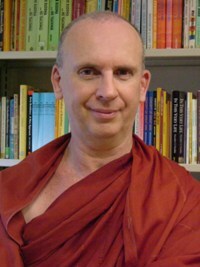 Are you saying the academically, its been found that the vinaya post-date the Buddha? You mean they were developed after the Buddha some 200 years later? I hope this is enjoyable! What’s the confusion? That’s what it says, that’s what it means, that’s the facts. I mainly read the Sutta Pitaka, which I personally believe is the least adulterated in terms of authenticity. Apologise for not being clear. 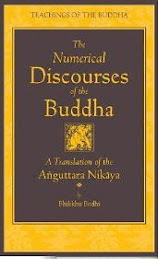 Were you saying that most of the Vinaya only existed after Buddha's paranibbana and probably some 200-300 years later? 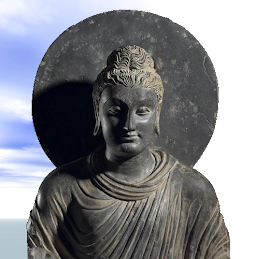 The Pali Vinaya in its present form may date from 2 to 3 hundred years after the Buddha, although some of the material in it may be earlier than that and some later. The earliest suttas (the Sutta Nipata) depict the Buddha and his monks as itinerate wanderers living in the forest. The Vinaya describes large, well-established monasteries owning land and having storerooms full of grain, cloth, etc. The change from wanderers owning no more than what they could carry to permanent residence in well-built monasteries suggests several hundred years evolution.